You have written the book that I had planned to write someday. But I’m glad I didn’t—your book is much better. Congratulations, this was greatly needed. I just wanted to send you a thank you for taking the time to write this book. I feel a little like an obsessed fan because I read it for several hours last night, bought 3 copies for my new research team and am presenting our new organization scheme tomorrow. It turns out that we have just finished a first flurry of data collection and hiring and I’ve been scratching my head about how to systematize some aspects. It is a perfect time to superimpose a structure. I’ve used aspects of your plan in my own work (hence my eagerness to adopt) but having this coherent volume is a wonderful and practical resource. I learned a lot from reading this. Thank you! 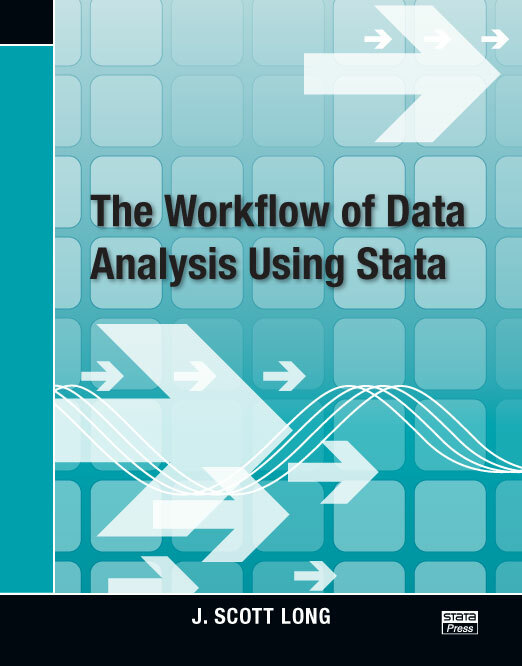 I just received a knock at my door with my new copy of The Workflow of Data Analysis Using Stata. I immediately ripped off the packaging and began perusing it. Just before the knock, I was attempting to write a program to get Stata to save the r(mean) and r(sd) for two variables following a summarize command to be saved for a ttesti command. After looking at your book for about two minutes, I stumbled upon pages 91–92, where it gave me all the information I need. … I have only had the book about 10 minutes and already it has made my life easier. Thanks much, and I am already looking forward to reading the rest of the book! I am a Spanish professor of public economics who is at present enjoying a study-research leave at Melbourne University (Australia). Because of that I have had the time to read your book from cover to cover. I just want to thank you for the incredible work you have done! A book such as this one is a must for anyone trying to make an academic career. Definitely, I will recommend it to my graduate students as soon as I go back to Spain. If I had the chance to reach this book twenty years ago I would have been much more efficient doing my work. Never is it too late! Thanks! J. Scott Long is Chancellor’s Professor of Sociology and Statistics and Associate Vice Provost for Research at Indiana University–Bloomington. He has contributed articles to many journals, including American Sociological Review, Social Forces, American Statistician, and Sociological Methods and Research. He was editor of Sociological Methods and Research from 1987 to 1994. Dr. Long has authored or edited seven previous books on statistics, including the highly acclaimed Regression Models for Categorical and Limited Dependent Variables. In 2001, he received the Paul Lazarsfeld Memorial Award for Distinguished Contributions to Sociological Methodology. Each summer at the University of Michigan, he teaches workshops at the Inter-University Consortium for Political and Social Research Summer Program in Quantitative Methods of Social Research. 2.4.1 What should you document? 7.2.2 What belongs in your do-file?